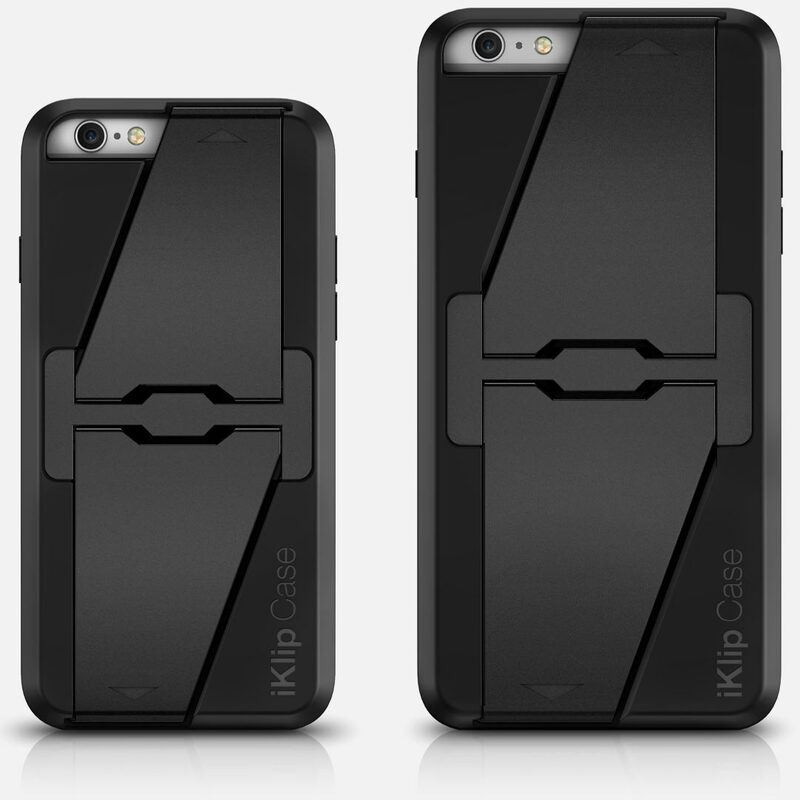 Introducing the iKlip Case series for iPhone 6/6s and iPhone 6 Plus/6s Plus. It’s a protective carrying case with an easy-to-use built-in multi-position stand for musicians and more. A fusion of functionality and durability, it ensures that you’ll always be able to set up your iPhone for effortless viewing: Use it while playing instruments with apps on your phone, while reading in coffee shops, while giving presentations and a whole lot more. 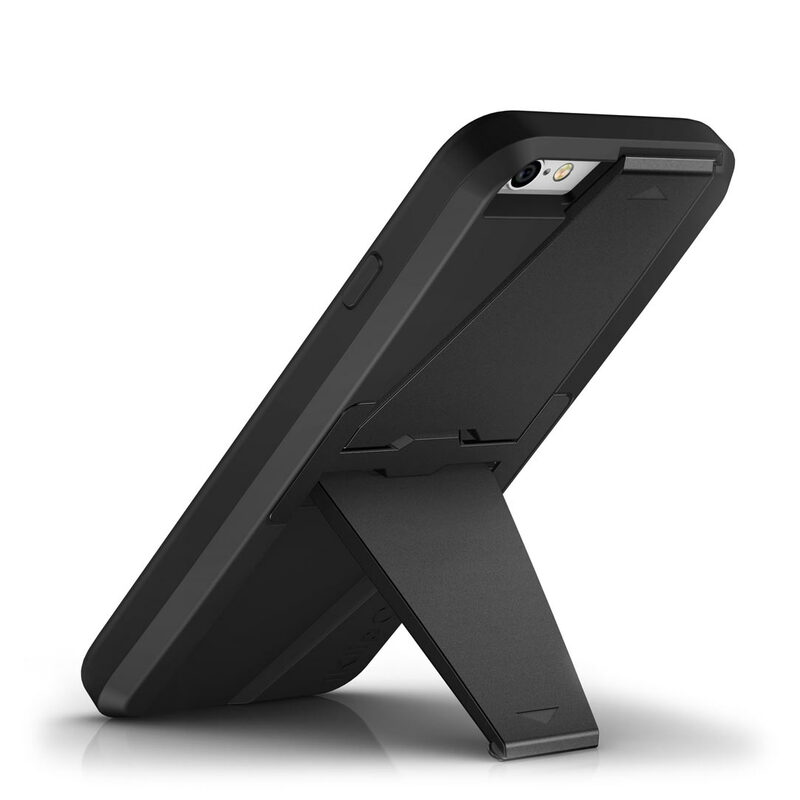 With iKlip Case, you can take a stand anywhere you go. 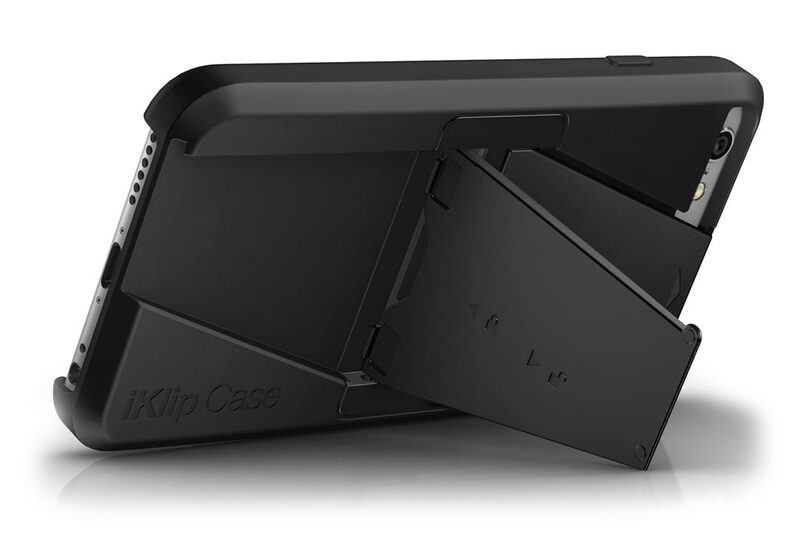 At its heart, iKlip Case is all about its built-in stand system. 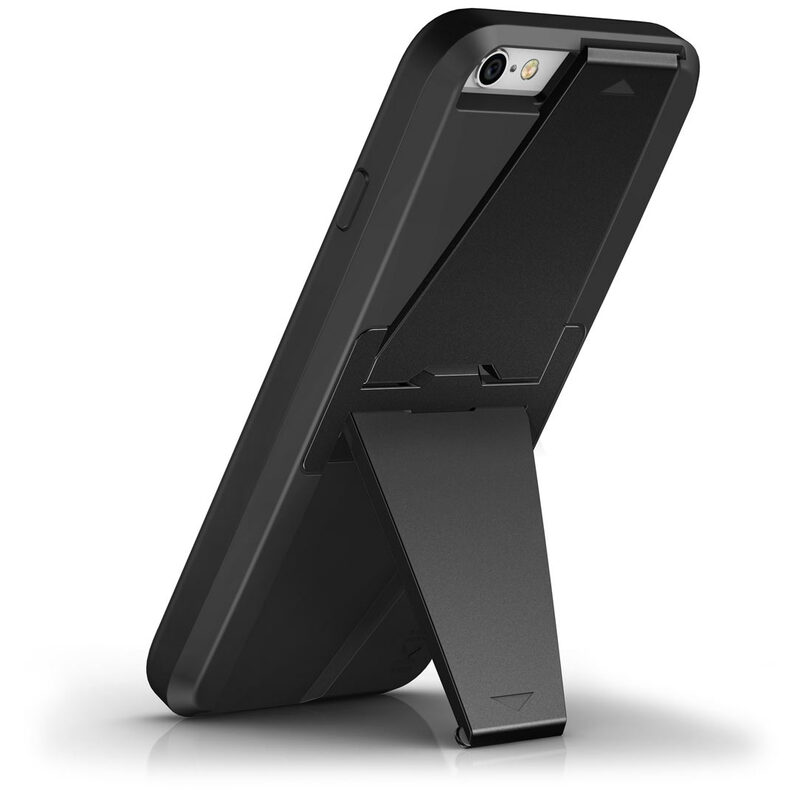 This stand system lets you position your iPhone for use in 1 of 4 different viewing angles. It features two large wing-like legs that can be quickly expanded to switch between 2 set angles per viewing orientation: Portrait mode can be viewed at 60° and 45°, and landscape mode can be viewed at 80° and 60°. In either configuration, iKlip Case offers a sturdy and firm hold that’s as good for making music as it is for watching movies, playing video games or surfing the web. iKlip Case is dependable. With it, you’ll be safe in the knowledge that your iPhone is strongly protected. Its body has been industrially designed in Italy — it sports the most rugged and durable materials on the market. Its body is made from a lightweight and shockproof thermoplastic (TPU), and its legs have been constructed from rigid Polycarbonates (PC) plates. These materials have all been chosen to provide security and peace of mind under even the most demanding of circumstances. 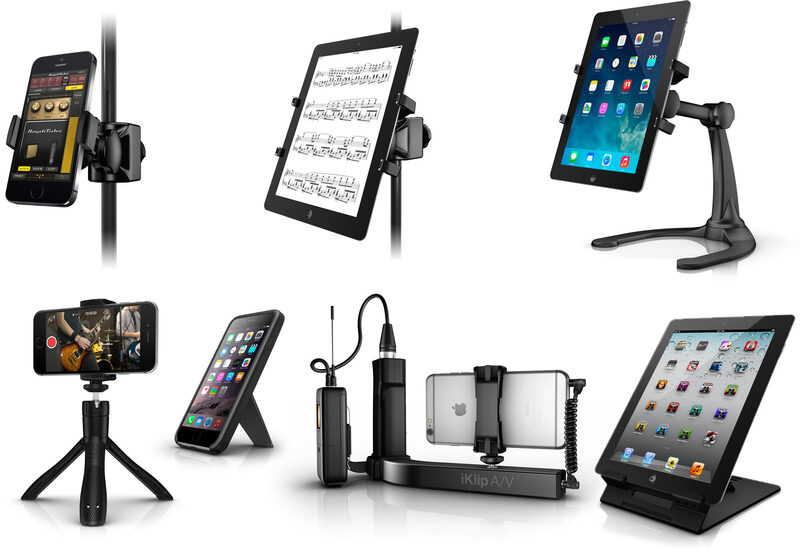 iKlip Case is part of IK’s iKlip family of products designed to hold mobile devices, smartphones and tablets securely in place for a multitude of uses for musicians, broadcasters, creative professionals and hobbyists. 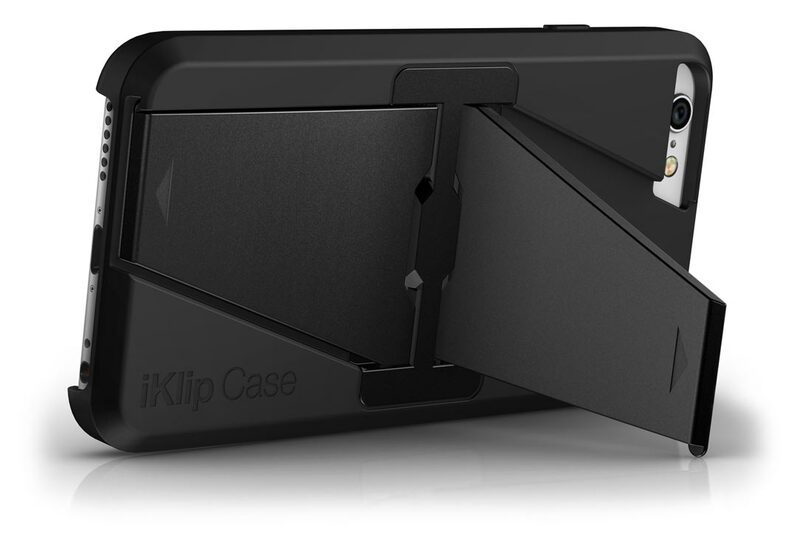 iKlip® Case is a trademark property of IK Multimedia Production Srl. All other product names and images, trademarks and artists names are the property of their respective owners, which are in no way associated or affiliated with IK Multimedia. iPhone®, iPod touch®, iPad®, Mac and the Mac logo are trademarks of Apple Computer, Inc., registered in the U.S. and other countries. App Store is a service mark of Apple Inc.